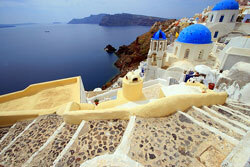 One of the most perfect locations to go on a gay cruise is the Greek Islands. It is a legendary region with the picturesque Greek Isles, sun kissed beaches, and all of this among the company of a diverse gay community. You will board the magnificent Mega yacht Harmony V and it will take you on your cruise of the Greek Islands. The yacht is 183 foot-wide and has 25 cabins, which are located on the main deck and upper deck. They are decorated with a touch of class and elegance with soft colour furnishings, and all are equipped with large windows so you can take in the stunning views. During your gay cruise you will get a rich mosaic of travel experiences. 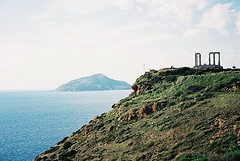 Being able to take in the breath taking sites of Cape Sounion, Delos, Santorini and the beautiful white sand reaches of Poliegos. You will definitely be more relaxed than you ever have been come the end of the cruise. When you awake after your first nights sleep on the fabulous yacht, you will most likely feel a sense of calmness, knowing that you are sailing on a cruise of the Greek Islands. 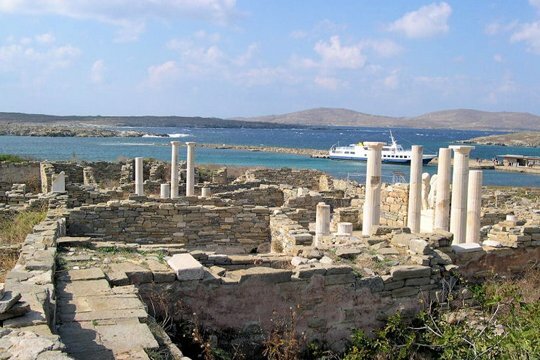 After your breakfast, you will have the choice to attend the morning tour to the unique archaeological site of Delos, the sacred island. Then you will sail onto Mykonos, which is known as the "cosmopolitan island", and be able to enjoy all the luxuries it has to offer such as going shopping in some of the high brand stores. Mykonos is known to have a vibrant gay nightlife. This is where you will also spend your night. 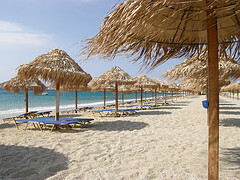 You will be given the opportunity to fully enjoy Mykonos during the day. 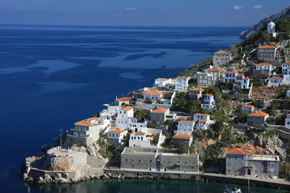 It is one of the most touristic islands in the Aegean so if you are planning on stopping at a restaurant or a bar you will definitely meet other tourists, making your gay cruise even more enjoyable. They also serve "English breakfasts" which is great news for anyone who does not particular like to eat food they have never tried before. You will be able to explore the beaches Super Paradise and Elia, they are the most popular among the gay community. The buildings and statues are breath taking, and you will be able to view these on tours. The island has kept its traditional architectural style and character. The next morning you will arrival at Santorini. It is known for its wild beauty, and you will be able to experience all of this. From its dramatic black beaches, brilliant blue seas and fantastic climate, you will be in love with this island. The beaches are typically on the daring volcanic stretches of coastline that slope down to the dazzling blue seas. A tour of the villages will be able, including the romantic village of Oia, from there you will be able to look over the caldera, which is spectacular. Its landscape will set the scene for your blissful gay cruise, with the heavenly sunsets, which you will get to see as you will be staying overnight. A swim stop will be available for you to cool off, and enjoy the scenery around you before the yacht sets sail again. You will arrive at Folegandros, which is one of the lesser known islands, this means that there will be less tourists, and this may be something that you will look forward to after the fun and busy nightlife in Santorini that you had previously experienced. It has just three villages. You will get to see the natural beauty of the cave and tall cliffs, just as nature intended them to look. You will get to dine at one of the Greek taverns, these are very traditional and you will be able to get a sense of their culture. After sailing during the night you will arrive at Poliegos, which is a small Greek island that is known for its amazing beaches. A BBQ on deck will be arranged, giving you the opportunity to meet some of the fella passengers on the cruise, or simply socialise with some of the people you have already gotten to know well. 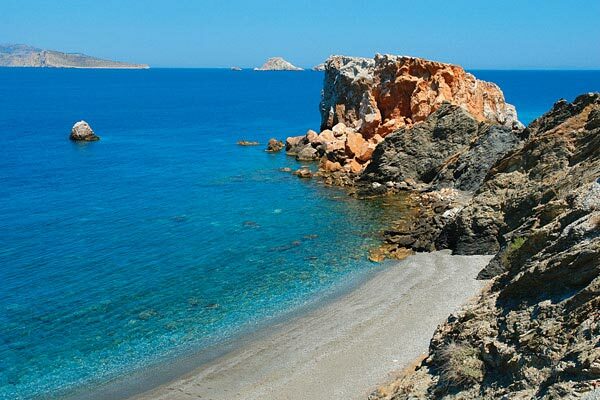 You will also be able to go for a swim, which will be extremely refreshing and get you ready for the exciting day ahead, as next the yacht will arrive at Milos. 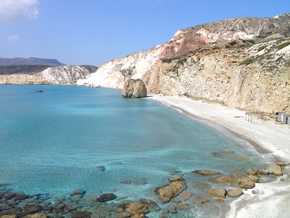 The beaches that you will be viewing on this Greek island do not compare to the others you would have previously seen, as they are unique and exceptionally beautiful with white sand. You will have the night to rest. You will have a relaxing morning swim top before you arrive at the islands of Hydra. This will be your last full day on the gay cruise, so no doubt you will want to take everything in and remember the beauties. Hydra is already a popular yachting destination being the home of home of the Kamini Yacht Club, which is an international yacht club. You will be able to explore and enjoy the wonders of this captivating place. There is definitely no shortage of memorising scenery on this island. You will be able to spend your final night with your new companions that you met, simply having fun and getting ready for the final sail. Your final destination is Marina Zea, you will arrive in the early hours of the morning. After having your breakfast, you will then disembark from the yacht and start making your way home.